Effectively predict and address the changing needs of clients with dynamic behavioral segmentation to provide personalized service and product recommendations. 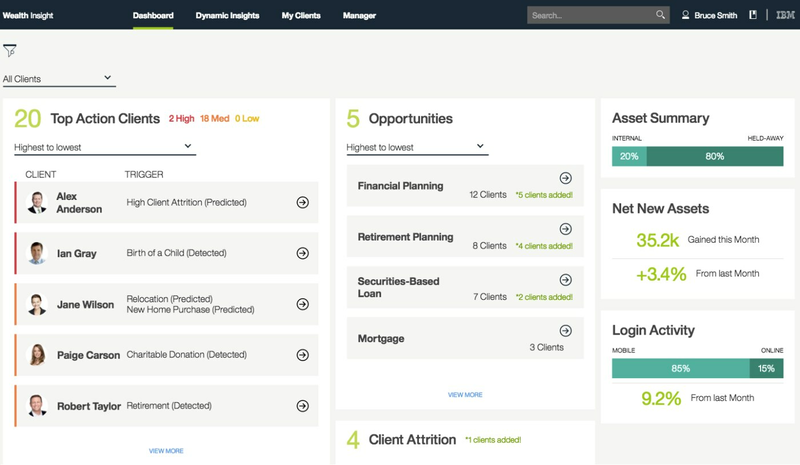 IBM Client Insight for Wealth Management generates advanced customer segmentation based on a client’s behavior. An overview of IBM's approach to applying cognitive and advanced analytics to meet your client's needs of the future. Financial advisors get an efficient and personalized way to serve clients with actionable insights to deepen relationships. Financial advisors use cognitive and new era analytics capabilities to better understand their clients.